Then on tour across Scotland. 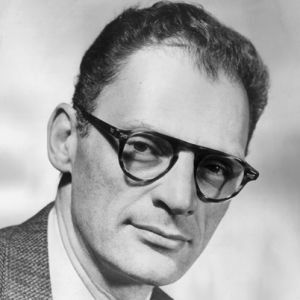 Arthur Asher Miller (191502005)was one of the most prolific pulitzer-playwrights of the 20th century. I mean, the guy was married to Marilyn Monroe – you cant get more iconographic than that. In the centenary of his birth, Scotland has already seen Rapture bring his early classic All My Sons (1947) brought to the boards, & now we have his great swansong, written in his late 70s & first performed in 1993. 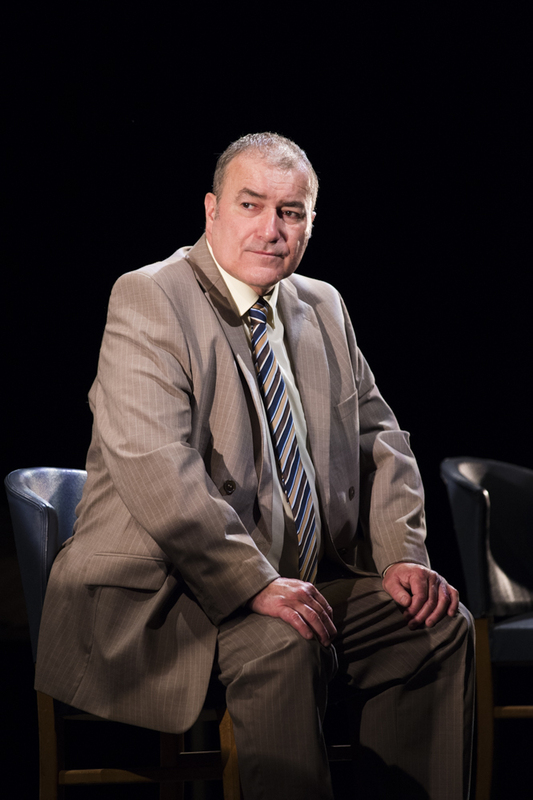 His play takes place in the institutional landscape of the 1990s – the mentions of prozac & videos show that – in a society where their mentally ill are locked away for weeks at a time into the right dose of medicines make them at least workable on the outside. We are presented with two married couples, the wives of which are inside, while the husbands are on one their visits to the hospital, located somewhere in New England. That we are in America is effortlessly induced by an effective backdrop of four brick walls, enlivened by the stars & stripes, & the uncannily accurate accents of our players. Part of the 9th Scottish Mental Health Arts & Film Festival, this production is brought to us by Rapture Theatre, in association with The Beacon Arts Centre, Greenock. Directed by the ebullient dramaturgical genius that is Michael Emans, who told the Mumble that in order to bring to life the play’s mixture of serious mental health issues & brevity, ‘to achieve that perfect balance of production what I’ve looked for in the actors are four actors who can achieve that balance between the comedy on one hand & the drama on the other, so we’ve got a nice mixture of good, strong actors.’ His choices some of Scotland’s best actors. Jane McCarry (Still Game) & Stewart Porter (River City) off the telly, with Pauline Turner & David Tarkenter having recently cut their teeth on Miller’s All My Sons, a lovely thespian conversazione, which Emans has brought together in a quite succinct harmony. The Hamiltons are the main couple, with Leroy (Tarkenter) being a direct descendant of Alexander Hamilton, one of the founding fathers of the US of A. Two centuries after the declaration of Independence, Leroy is a self-deprecating lowly carpenter whose wifehas been on pills for the past couple of decades, a habitual attendee of the mental health hospital. 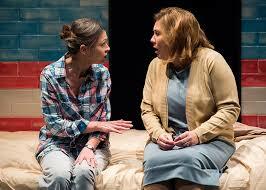 They have seven kids together, but they hardly get a mention – for this play is about private relationships, & how they play themselves out across the fabric of a clinical, cynical world. Into the mix are thrown the Fricks, with Porter’s John an excellently-drawn caricature of the modern American man, steeped in stereotypical hubris that comes with the programmed acquisition of New Money. The play begins with the two husbands discussing the possibilities why their wives are institutionalized, was it their fault they had become ‘depressives,’ & by the scene finishes they, the audience the world at large all know these things are bigger than all of us. A great opener throughouy which the lads showed their class & a genuine warmth which blossoming out from their actorial connections. The next scene introduces the two wives, with McCarry playing Karen Frick’s sonambulent, conversation-quantum-leaping part to perfection. The startlet of the play from here on in is Turner, whose Patricia Hamilton is a wonder, 21 days without pills & ready to escape the chasms & the psychic chains of chemical dependence. Her clarity has returned, her breathing is better & in Patricia Hamilton Mr Miller has given the modern world a certain hope for the future. This faith in the planet’s inevitable betterment is encapsulated perfectly when Miller paints her as having spiritualized her depression, living in a constant state of prayer, with her minister being her unnofficial therapist. As a spectator, there was a cracking scene – if a little contrived – that showed the two Hamilton’s deep in conversation in which the entire gamut of personal & emotional interdependence was played out in about three minutes.